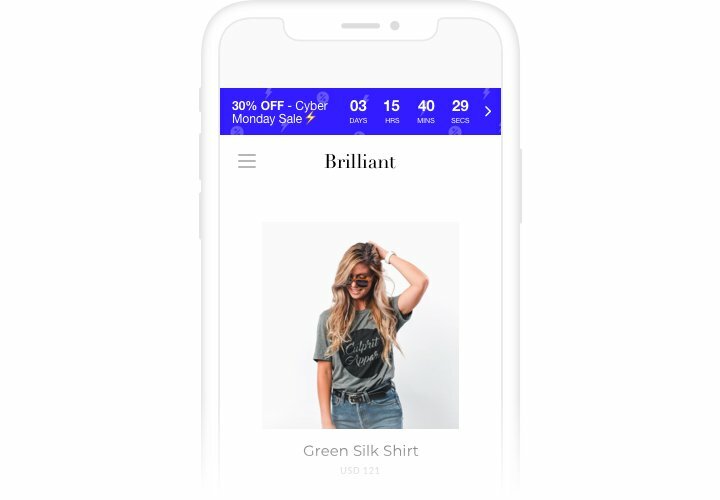 You can use Elfsight Countdown Clock to construct manifold kinds of counts and timers, which will push customers to shop more and faster. 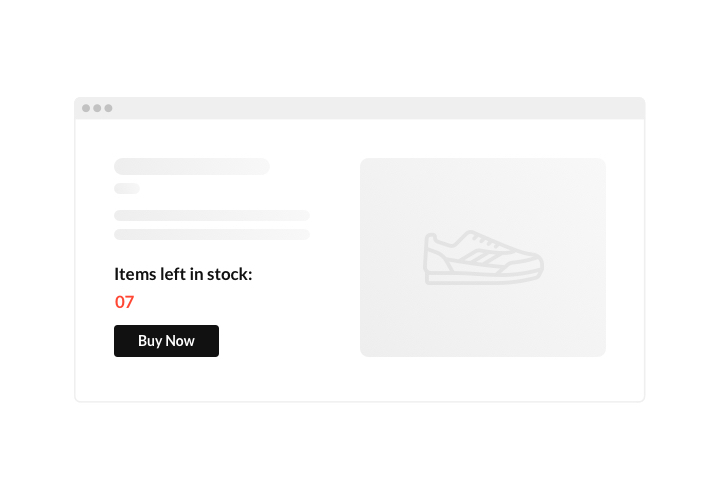 Stock or sales count will evoke a feeling of limited availability and competition; sale countdown will push audience to buy faster. 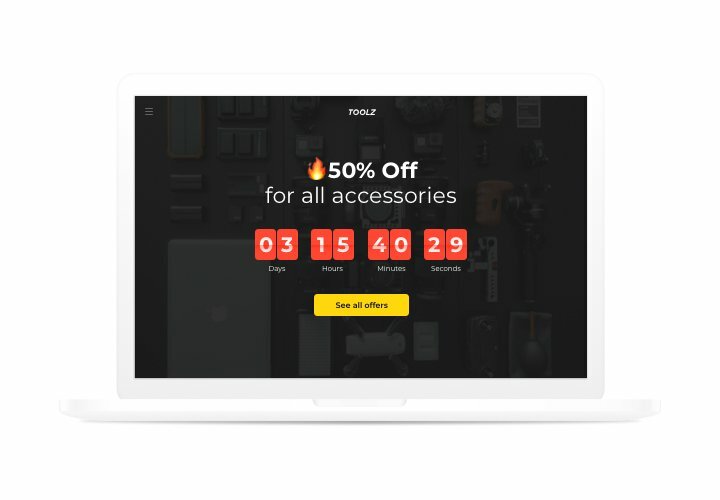 An individual countdown will encourage each user to use a personal offer quicker; holiday sale banners will attract attention thanks to its great theme style. 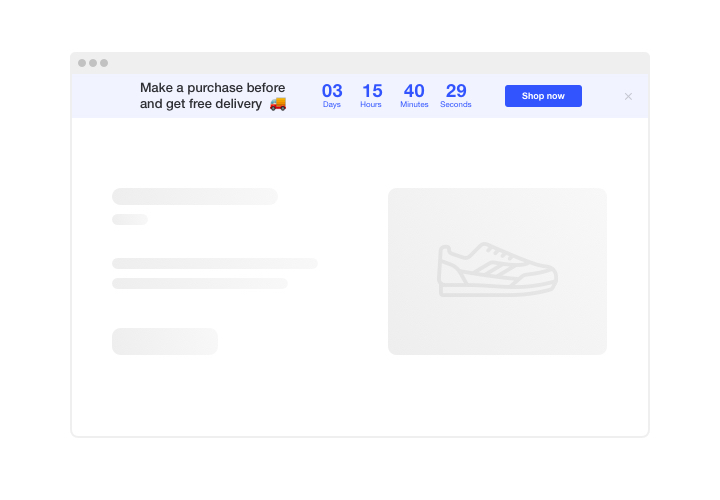 Grow your online sales with urgency-creating timers and counts. Push clientele to buy now by bringing a sense of urgency. 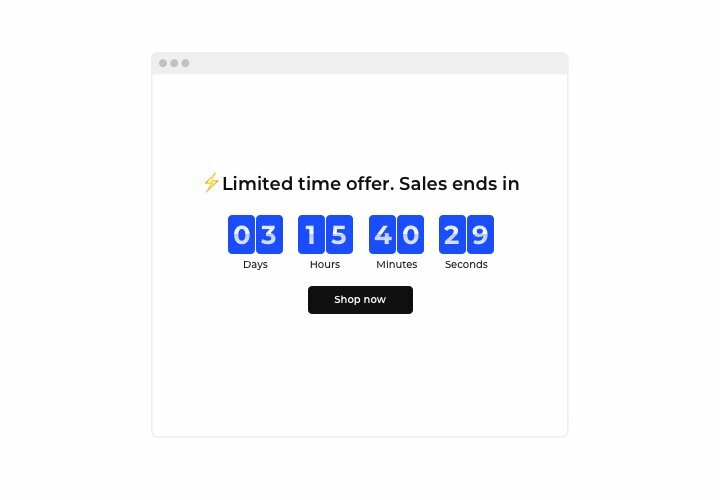 Create a fear of missing out your special offer or sale by displaying that the time ticking down to the last day of it. It will make clients buy quicker and put up sales on your site. Show the stock lowering in order to lift items’ value. Display that your goods are sold quickly and become deficit, with a special stock count. It will make people value the offers more and become jealous to acquire them too. 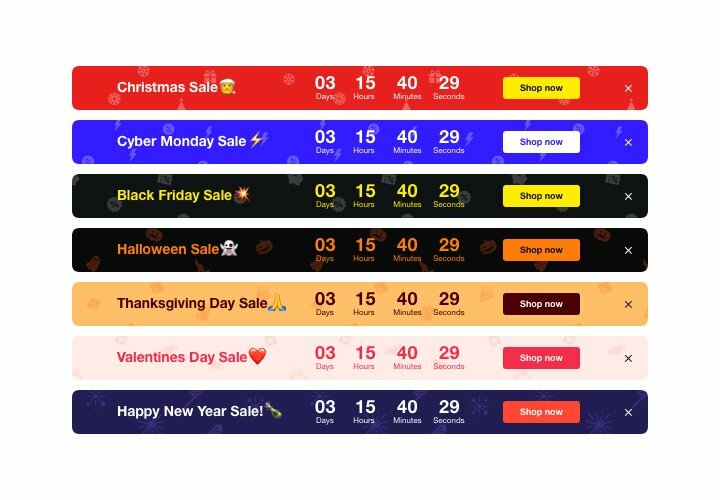 Entice more attention to sales using a special holiday-theme timer bar. Create a bright theme sale bar for holidays and special occasions. It will bring holiday atmosphere and advance your profitable offers to help you sell more during high season. A simple manual on creating countdown clocks and counts for a website, that doesn’t require knowledge in programming. Implementation of the manual will take not more than several minutes. Build your custom Countdown Timer. Using our free demo, create a plugin with preferable template and capacities. Receive the code for showing the plugin on your site. After you have adjusted the interface of the widget, receive your code for Countdown plugin from the popup notification on Elfsight Apps. Reveal the plugin on Blogger website. Place the plugin on a chosen place of the page and apply the results. Go to your site, to see your work. Having difficulties or questions about the instruction or fail to set your own plugin? Write to our help center and Elfsight team will be happy to help you! Generate your own Blogger Countdown Timer in 80 sec!